This colourfully patterned gold mangalsutra comes with a square shaped pendant designed with a radiating sun pattern design with violet and white meenakari combination. 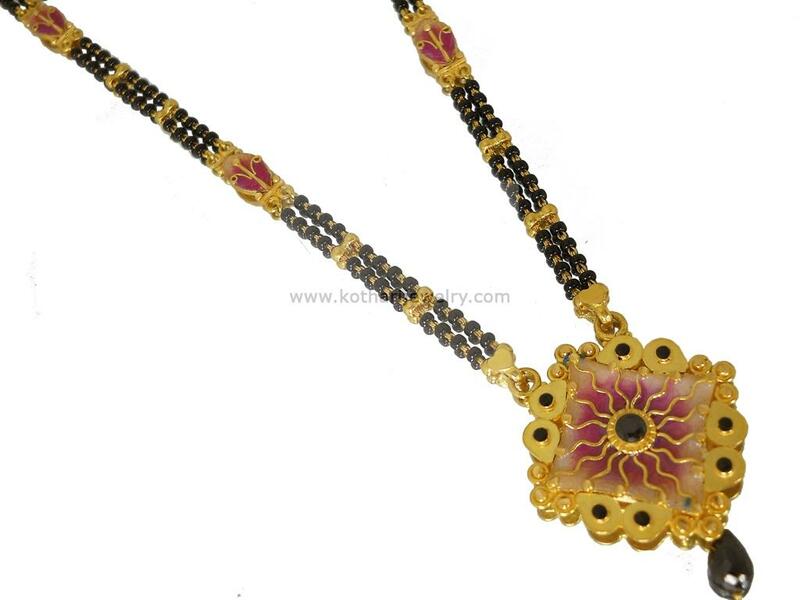 The gold patta of the necklace is also designed matching with the pendant. The mangalstra is designed in 22kt gold with BIS hallmark. The length of the mangalsutra is 20 inches.